Often architects and employers look past the key factors in office comfort during building design and construction. The designer and business remodeling contractor concentrate on the finishes such as paint colors, types of wall covering, and placement of carpet and tile. Albeit these are perhaps the most important aspects of the overall office workplace, however, there are three key factors that will greatly enhance the employee and user experience. High-performance partitions (http://www.hufcor.com/products/operable-partitions-2/) as well as sound absorbing materials and surfaces should be woven throughout the space during building design and construction. These added elements will help reduce sound levels and employee distractions. White noise sound masking systems (http://www.lencore.com/) are also a great investment for added privacy and intelligibility. The purpose of sound masking is to achieve both speech privacy and relaxation. Products that conform to ASTM C423 (https://www.astm.org/Standards/C423.htm) are crucial to high-quality acoustical products. Heating, ventilation and air conditioning (HVAC) system design of conditioned air ventilation and movement, outdoor air intake, temperature, collection of contaminants and particles, levels of humidity as well as volatile organic compound (VOC) control are not only required by the International Building Code (IBC), (https://codes.iccsafe.org/public/document/IBC2018/chapter-28-mechanical-systems) but also for the living conditions in your workspace environment. Controlling these HVAC fundamentals will elevate comfort and increase the health and energy levels of the employees. Lighting quality (https://www.iald.org/Advocacy/Advocacy/Quality-of-Light) is critical in the overall feeling of the space. Not to mention the productivity of the employees. As we have all experienced, too little or too much light can fatigue your eyes. 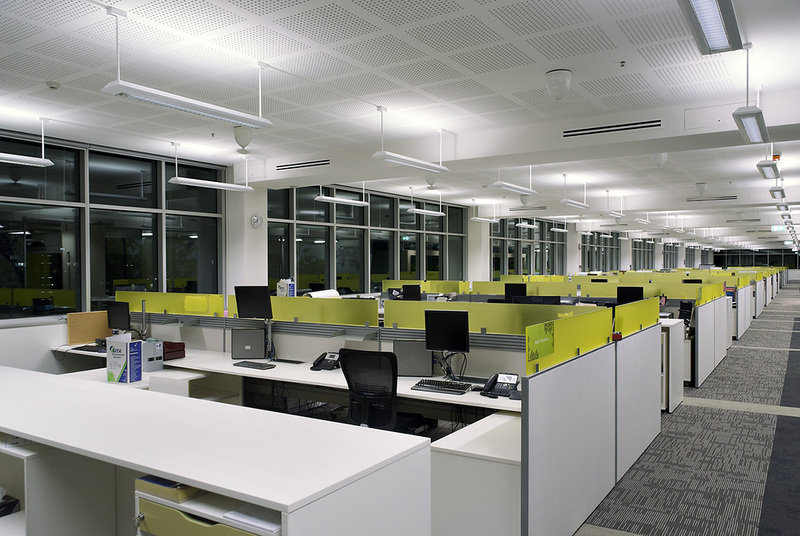 Lighting quality will affect aesthetic judgement, health, safety, social communication, visibility and task performance. An experienced lighting designer (https://www.iald.org/) is essential in balancing these human needs. Human health, well-being and efficiency are vital and are obtained by proper acoustics, good air quality and visual relief. By paying close attention to these three factors, high-quality office comfort in building design and construction can be attained. Construction DesignWorks uses its hands-on approach and design expertise to create and develop a winning design-build (http://constructiondesignworks.net/design-build-2/) team that is specialized for each customer. Their complete turnkey solutions align with the unique business needs of various types of real estate. Construction DesignWorks, LLC is located at 6657 Woodland Drive in Shawnee, Kansas. If you are looking at business remodeling contractors or for more information about interior design-build, call (913) 745-4727 or visit their website http://constructiondesignworks.net. View original article on building design and construction (http://constructiondesignworks.net/creating-office-comfort-with-building-design-and-construction/) here.